In a recent workshop on interactive video, some participants asked me what I thought of using webcam videos in corporate e-learning. While I haven’t done a lot with webcam video, I think it’s one of the easiest ways for designers to make existing courses more engaging. Course introductions are a great place to start. Rather than narrate a slide of learning objectives and bullet points, try personalizing your intro with a webcam recording. Chapter and summary slides are also another way to integrate webcam videos into your courses. Once your storyboard is approved, you have the content you need to webcam one or more slides. Though my workshop folks weren’t entirely sure video would work in their organizations, there sure was a lot of interest in it. And that’s what this week’s challenge is all about! This challenge is the third in our portfolio challenges. In previous challenges, you created interactive resumes and shared your e-learning portfolios. This week you'll record a video introduction and highlight some projects you've designed. Open with full webcam and lower thirds to include your name and website. 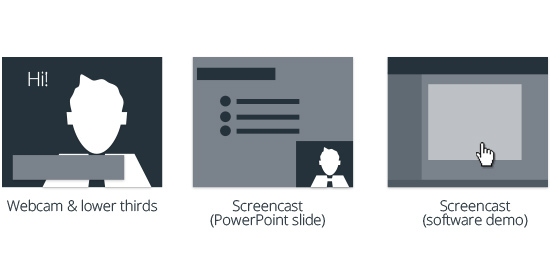 Switch to a PowerPoint slide with some info about you and your services. Expand on the first option by showing us what you’re currently working on. Open a project and share a peek at a project or share an e-learning tip. Share your e-learning portfolio and highlight one or more projects. Tell us about a project you worked on or an e-learning challenge you shared. Conclude with webcam and lower thirds. 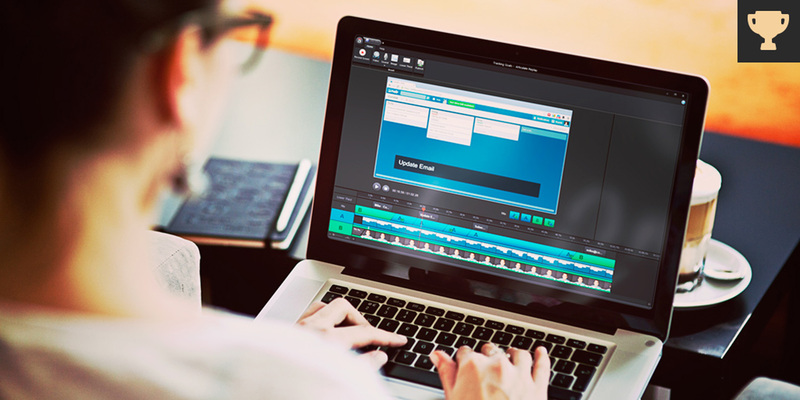 You can use Articulate Replay (free) or any other video software to create and mix your webcam and screencast video. You can embed your webcam videos in Articulate Studio or Articulate Storyline and share your project like any other course. Another option is to publish to a video hosting service like YouTube, Vimeo, or even Flickr. Tempshare is another option. If you want to insert your webcam video into Storyline or Studio ‘13, you can post your files to Tempshare. Note: Tempshare only keeps projects for 10 days. If you need help hosting your project, send me a message through Heroes and I’ll help you out. 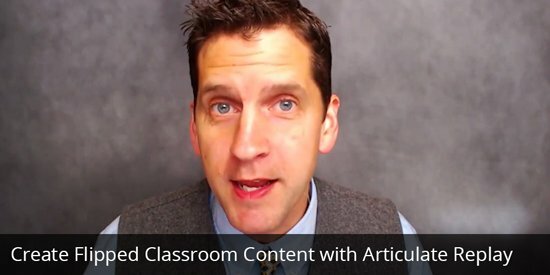 Here are a few articles on creating your own webcam videos with Articulate Replay. 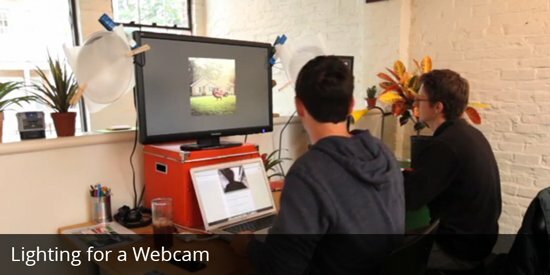 Here are a few helpful resources for creating webcam videos. Please feel free to share your own tips and favorite resources in the comments below. What you show is up to you. The challenge this week is to help get you started with webcam video. Have fun with it! I knew this challenge would speak to you, Jeff! You're a huge Replay user and advocate. Looking forward to what you come up with this week. Great one, David. This is not something I would ever do on my own but I accept the challenge! Just kidding that was not my real entry since it is not technically a webcam but it does use Replay. Nancy - who knew you have such rosy cheeks! Don't push it David! This is definitely a challenge for me! Absolutely. But I like the challenges that make me slightly uncomfortable. They are the ones I am more apt to make time for even in a busy week because they are always the ones most worth the time. The podcast one certainly make me squeamish, but I got a lot of great feedback and even a great freelancing gig from it! Hearing that really makes my day, Allison! Building portfolios was one of the biggest reasons we started the challenges. The challenges were one way new and experienced users could build examples to showcase their elearning skills. Thanks for sharing that, Allison. Maybe a Dutch video Paul. Speaking in your native language might take away any insecurity you might have regarding shading English? Everyone! 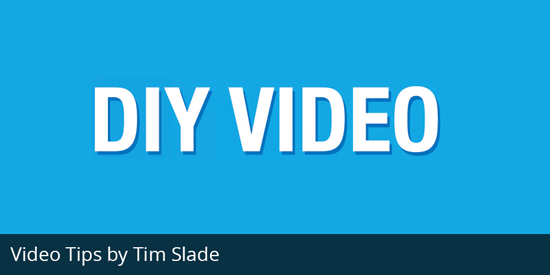 David's tip to check out the Wistia video tips (there are more) is a great resource when you start doing video! I've learned a few new things and have signed up for a free account. Great Tip David! Thx, Jeff. Wistia has a great thing going w/ their learning videos. I like how they show budget and high-end solutions. I bought my setup using a combination of what I learned from Wistia and Tim's solutions. Hi all, I manage the Sales Training department at a company call Halogen Software, and one of our trainers (Erik Germain) used Replay and Storyline to create the following: https://cloud.scorm.com/sc/InvitationConfirmEmail?publicInvitationId=1cedcbbc-082e-47c0-a648-feb63c7613e3 You will need to enter your email and name to view the course on SCORM. This course is intended for viewing by our internal Sales department only, so Erik had a lot of fun with it...as you will see! Here is my entry, loosely following option 2. https://www.youtube.com/watch?v=eJ-eIbokf44 Not an easy challenge for the introvert. Ok Jeff after looking at the tips from Wistia and the great examples from Rob and Charles, I am now totally intimidated. Charles, that is an awesome trick! LOL Nice touch with the Terminator, Rob! That was an awesome opening. Thanks for sharing!